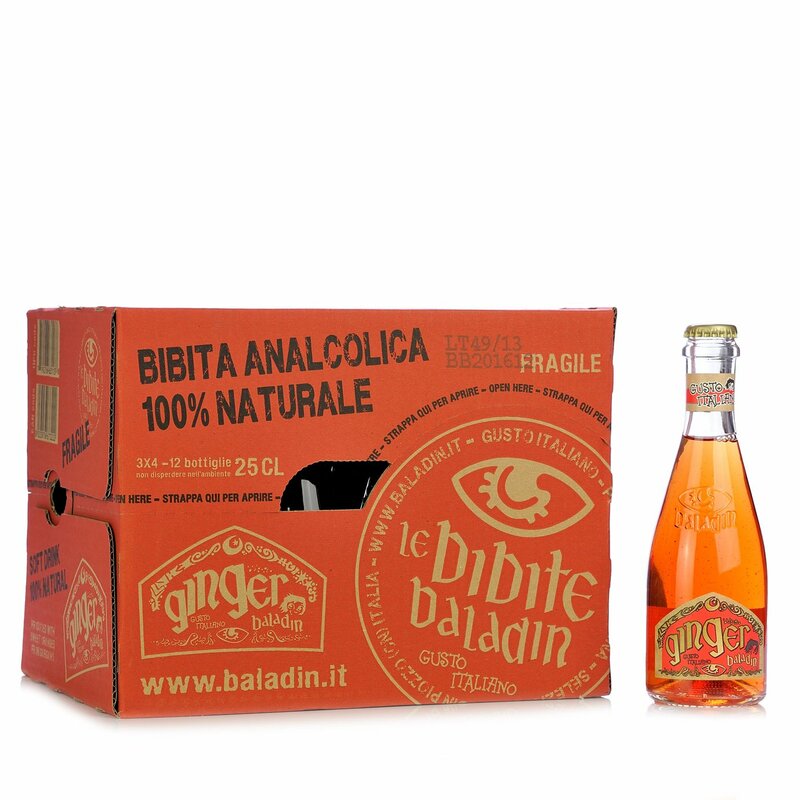 Baladin Ginger is a natural soft drink containing neither colourants nor preservatives. Just water, brown sugar, lemon juice, an infusion of herbs and zest from Gargano oranges (PGI), spices and vanilla. What more can you ask? A supply so that you never run out, such as the crate of 12 x 250ml bottles from Eataly, ready to bring a mixture of taste and authenticity to your home. The drinks! Eataly has chosen to bring you natural beverages only, seeking out the especially good ones. Baladin's soft drinks are exceptional because they contain no colourants or preservatives and are made with really unique ingredients. And that's the secret behind their unmistakable taste!